Prologue: After Nodame Cantabile, you’d have to forgive me for believing no other anime would attempt using classical music as the backbone for a romantic comedy. But with this Fall season, we have Shigatsu wa Kimi no Uso, which has sufficiently impressed me with that very approach, imparting a level of enthusiasm that I haven’t felt since watching Nodame. Classical music to make a match in heaven? While the two main characters, Kousei Arima and Kaori Miyazono, aren’t even close to being a mature, compelling couple (they’re middle school students after all), the classical music backdrop is enough to get me to stay. It’s worth my while to stick with this series, especially if I can use this soapbox to comment about classical music itself and maybe even give a bit of insight on why the music was used like it was. 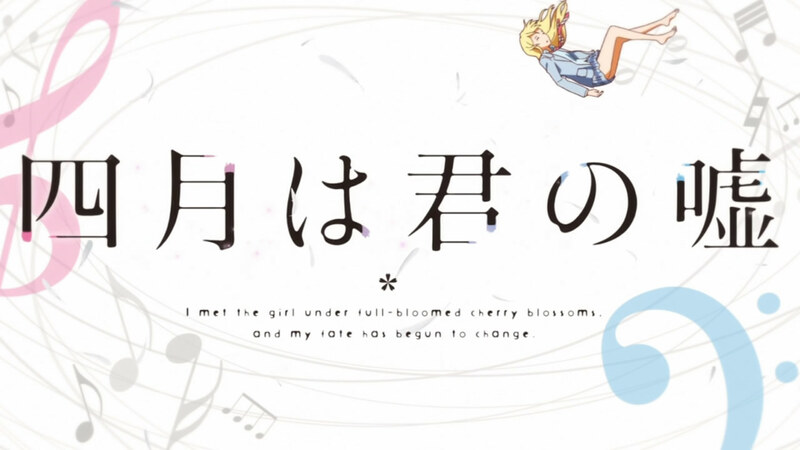 Shigatsu wa Kimi no Uso immediately caught my attention with the first scene after the opening theme. 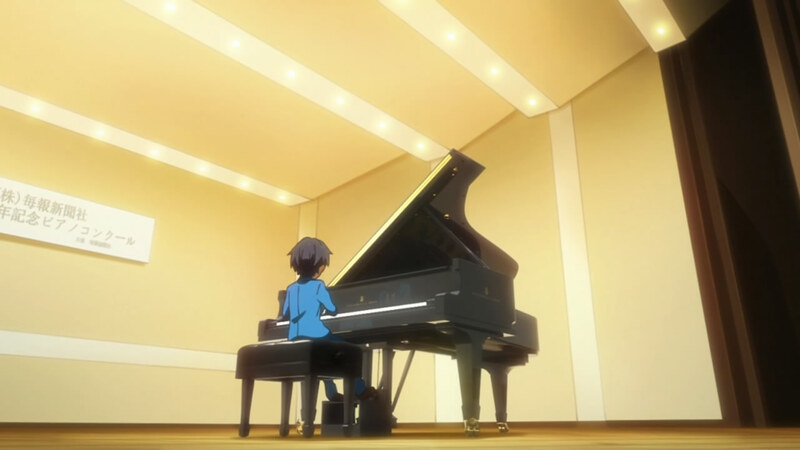 The anime kicked the classical music aspect into gear with Kousei on the piano, playing… not the first movement, or the second movement, but the third movement of Beethoven’s Piano Sonata No. 14. Most of us know it better as the “Moonlight Sonata,” but whether by name or by number, it’s a staple of pianists everywhere. You’ll hardly find a pianist who hasn’t encountered the piece at some point in their studies. Now, the “Moonlight” Sonata is a curious nickname for this piece because there isn’t anything about it that is suggestive of the calmness and serenity of a little night music. The first movement comes across as a dreary funeral march, trudging along in hopelessness while the second movement provides a calming, mellow reprieve that leads into the ferocious third movement. Between the three sections, I’m least fond of the first movement because it wallows a bit too much in its despair. The second movement is short and pleasant, but not overly memorable. That leaves the third movement, which enthralls me with its fierceness, complete with the flurry of fits and spurts (and lots of arpeggios! ), as it drives relentlessly on towards that grim, foreboding end. Aside from the fact that the “Moonlight” Sonata is a standard part of many a budding pianist’s repertoire, I wonder if any other factors might have contributed to its usage in Shigatsu wa Kimi no Uso. And for that matter, I’d also like to know if there’s a reason why they don’t play the first movement since its tone is more appropriate given Kousei’s mother’s circumstances. Perhaps the urgency of the third movement reflects Kousei’s unbridled desire to live up to his mother’s dream before she passes on? Or maybe its use is mundane because it simply looks cool and shows off Kousei’s virtuosic abilities? We may never know the true answer, but I’m nevertheless grateful that one of the lesser-known sections of the “Moonlight” Sonata got its chance to shine rather than the overplayed and overrated first movement. While I enjoyed that performance scene in the first episode, it’s handily eclipsed by the boy-meets-girl moment, where Kousei comes across Kaori for the first time. That moment could have been taken out of a movie. And in fact, it does, in that they use music from a Ghibli movie. When Kousei glimpses Kaori for the first time, he finds her playing the iconic “Pazu’s Fanfare” from Laputa: Castle in the Sky and becomes entranced by what he sees. When viewed in light of its use in Laputa, the piece’s appropriateness cannot be emphasized enough — the Kousei-Kaori dynamic in that scene is directly comparable to that between Pazu and Sheeta. In Laputa, Pazu’s trumpet fanfare rouses Sheeta from her slumber after her fateful fall from the airship holding her captive. When Pazu notices Sheeta, the two began to talk, and the rest is Miyazaki working his magic as the two embark upon an exciting adventure. I wouldn’t be surprised then, if Director Kyouhei Ishiguro is trying to evoke a similar sentiment by combining Hisaishi’s music for Laputa with that scene. This moment marks Kousei’s attraction towards the free-spirited Kaori as the sparks begin to fly and their musical adventure truly begins. Whether this will be a match made in heaven (or a castle in the sky, at least) is anybody’s guess, but I’ll certainly be following KimiUso with much excitement! I didn’t realize that the piece that Kaori was playing was from Laputa. It really did add to the wonder that the scene was so clearly trying to evoke. When I caught that melodica line, I was pleased and was even more excited for how they played that scene out in KimiUso. And yes, more Rachmaninoff would be most welcome since his 2nd Piano Concerto ranks up there as one of my favorite pieces of music of all time. This is great! I am really loving this show so far and I enjoyed reading about the music behind it. I also did not know that was the song from Laputa, I guess I need to watch that movie again. Anyways thanks for this and I really hope you will continue it as the series goes on! 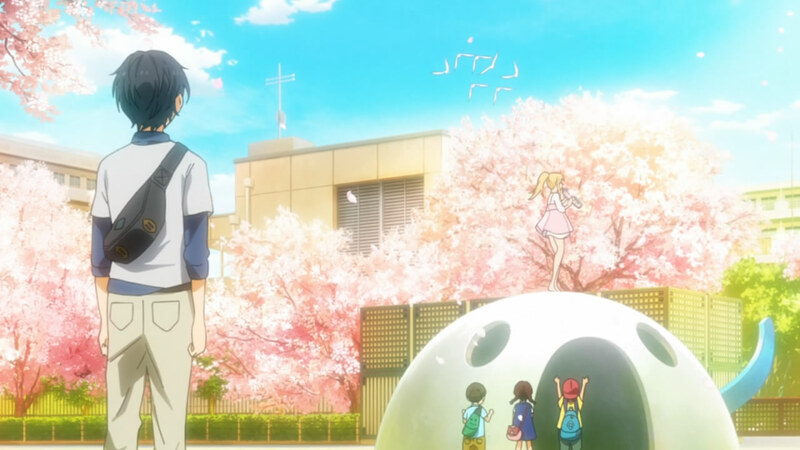 The moment in KimiUso was special for sure. And as long as the music keeps me in, I’ll be following this one to the end! I honestly love this interpretation of the third movement. A very flowing 3rd movement. Good choice and thanks for the find!